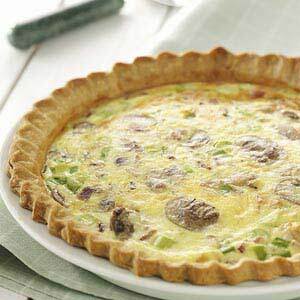 This Chicken Mushroom Quiche is a treat for breakfast, lunch or dinner. It is now a favorite restaurant recipe. You can of course substitute turkey for the chicken if you have left-over turkey to use. Use different mushrooms to vary the taste results or even several different kinds at the same time. This is great fun. Preparation time: 30 minutes: Serves 4. 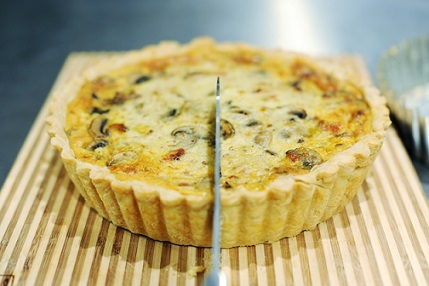 "I am convinced that I am the one who introduced quiche to America."